So far the only way of creating a highly available cluster with a floating IP approach was using bare metal serves in any datacentre, until Digital Ocean arrived. 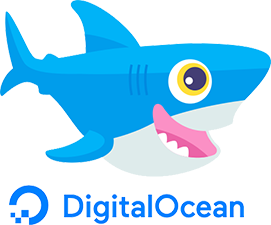 As far as I know, Digital Ocean is the only VPS datacentre who provides floating IP services. Floating IP is very handy, it is the key to create a highly available cluster by moving a floating IP under demand among some selected servers. I have already explained how to configure a FreeSWITCH HA Cluster. In this article, I will only explain how to configure the Digital Ocean's Pacemaker resource. Today I have published in OKay's RPM repository RPMs for TXT2PDF. This is a Python 2 / 3 script using the ReportLab module for generating PDF documents. It is intended to be used with monospace True Type fonts. It can be hacked for being used with Type 1 Postscript fonts, but such fonts contain fewer characters than TTF ones.RPM's are available for Centos 6 and 7. And you can find it if you type yum search txt2pdf. It may not be safe to bootstrap the cluster from this node. It was not the last one to leave the cluster and may not contain all the updates. To force cluster bootstrap with this node, edit the grastate.dat file manually and set safe_to_bootstrap to 1. Continue reading, here there are some steps I did to recover mine.